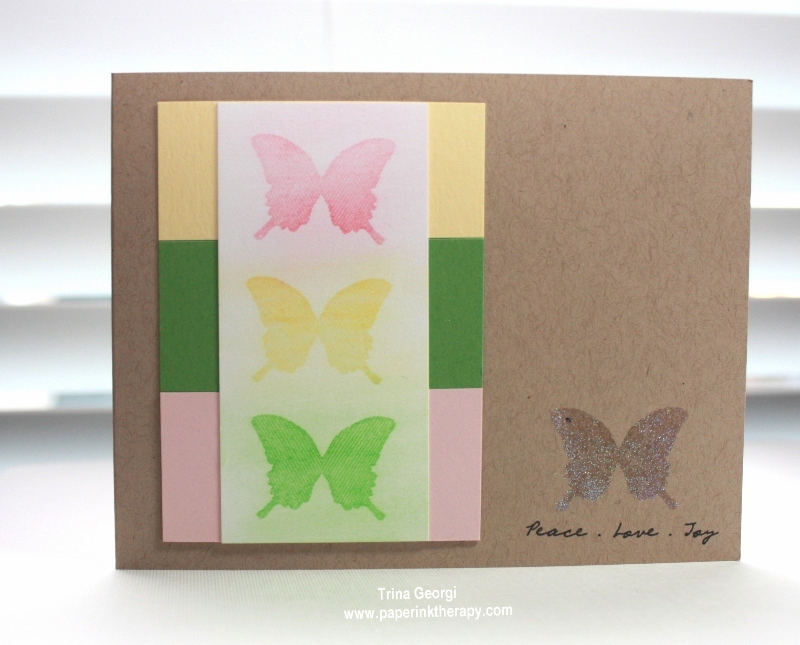 I stamped the butterflies with VersaMark, then rubbed colored chalk across each image. The other butterfly was heat embossed. 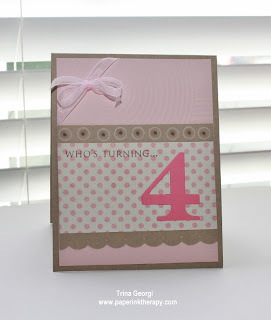 This card is actually the 4th one I made for this challenge - the other three just didn't fulfill the challenge deets. Card #1 - I had intentions to include the challenge colors on my daughter's birthday card, but the card kinda took off on it's own (the little girl LOVES pink). 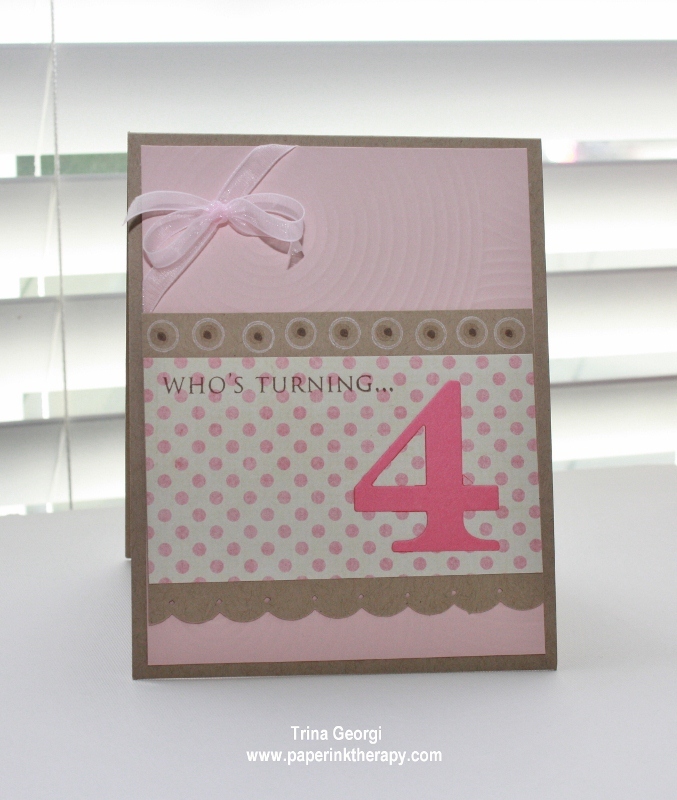 Card# 2 - I thought I had done it with this card, but then it occurred to me that I had left off one of the colors. I could have added an embellish, but I liked how it looked as is. They're all so pretty , Trina. I love the butterfly card you did for challenge, such pretty colors. Happy Birthday to the "big girl" 4 year old! I love all three of the cards you've posted and I'm sure that the one that didn't make the cut you will have learnt something from. The butterfly card is especially pretty. ALL your cards are gorgeous! But I am always a big fan of butterflies and they look awesome coloured in chalk with the colour blocking behind them! Love it! These are some wonderful cards! Thanks for participating in the challenge!